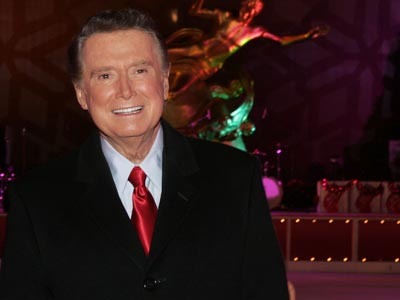 Regis Philbin | God is in the details! 1. If I were on The Amazing Race, my partner and I would win! 2. If I were on Survivor, I probably would get kicked off first. Too bossy. 3. If I were on Little People, Big World, I would be the tallest one on the show and I’m only 5’4″. 4. If I were on The Contender, well… I wouldn’t be. 5. If I were on 24, I would speak in a normal tone of voice. 6. If I were in the audience of Live with Regis and Kelly, I would be the one to whom Regis would say something like- “Hey Lady- got a minute?” But he would come out into the audience on a break and pose for a picture with me. 7. If I were on Lost, I would not go walking around in the woods by myself. 8. If I were on my own TV show, well, I would really like it! !